Europeans believe in equitable access to healthcare through valued national health systems. Yet, when it comes to medicines, we are confronted with fragmentation, sustainability challenges and denial of access to important medicines. It's time for a major change. The European elections are an opportunity to improve EU policy for better and more equitable access to medicines for all patients. #TOGETHER4HEALTHsets out a new vision to deliver access to medicines for all Europeans based on 4 important pillars that should be the basis of the European Union's pharmaceutical policy. 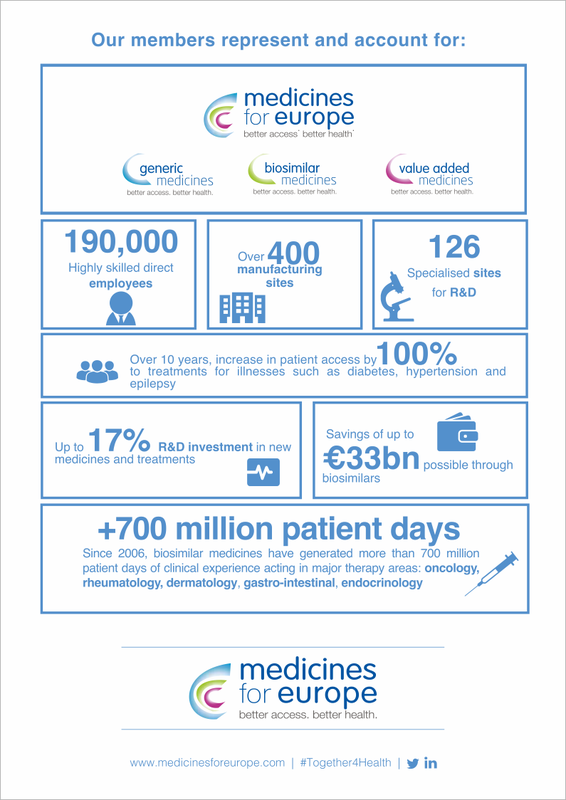 Medicines for Europe represents the pharmaceutical companies supplying the largest share of medicines across Europe and is the voice of the generic, biosimilar and value added medicines industries. 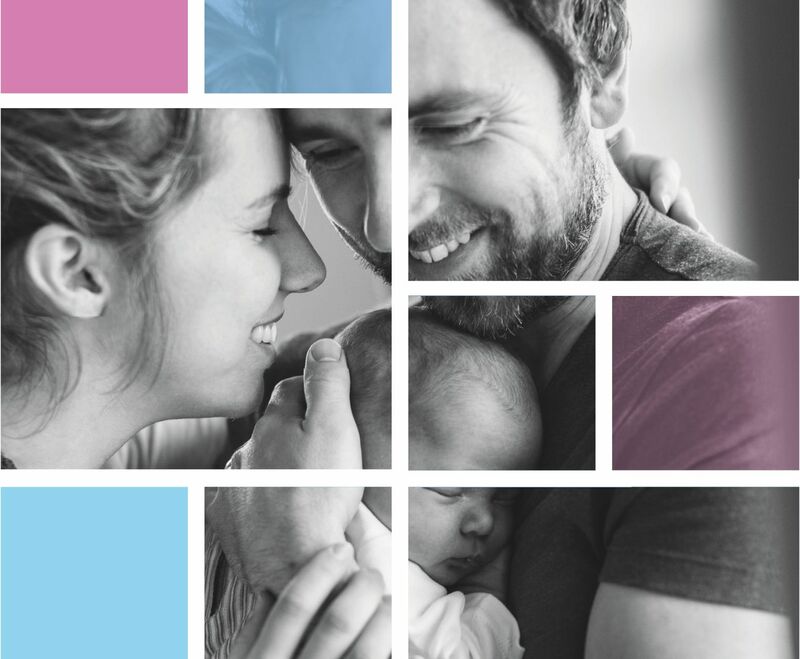 As a leading partner for better healthcare, we aim to increase the health and wellbeing of all Europeans through better access to high-quality medicines. Doing so safeguards the sustainability of Europe's healthcare systems for future generations. #TOGETHER4HEALTH sets out a new vision to deliver access to medicines for all Europeans based on 4 important pillars that should be the basis of the European Union's pharmaceutical policy. 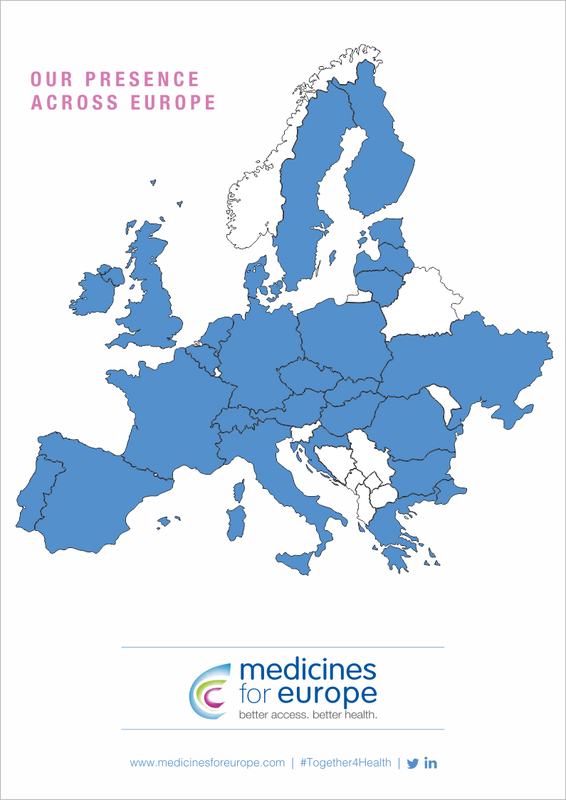 Today, patient access to medicines depends on the wealth of the EU country or region they live in. Limited access can undermine public health at a time of growing chronic disease rates. work with the healthcare community to improve equity of access to medicines in Europe's pharmaceutical policies. encourage the development of competitive, yet sustainable market policies, rather than applying cost-containment measures, to ensure long-term availability and benefits from generic, biosimilar and value added medicines. Today, despite progress, the EU regulatory environment is still quite fragmented. More efficient and rigorous regulatory standards for safe, high-quality and effective medicines could stimulate new product development, prevent shortages and facilitate global access to medicines. address concerns over the environment and anti-microbial resistance (AMR). shape the global agenda for regulatory harmonisation to enable regulatory standards internationally. Today, we are competing globally, therefore it is crucial to ensure a sustainable pharmaceutical industrial ecosystem that stimulates European industry to be a strong key driver to boost economic growth and generate jobs. Our industry supplies close to 70% of Europe's dispensed medicines through over 400 factories located across the continent. supply in Europe and export as global leaders. create incentives for the manufacturing of essential medicines, ensuring security of supply and reducing the risk of shortages. Today, patients desire greater involvement in the management of their conditions. By fostering continuous optimisation of existing therapies and embracing digitalisation in the healthcare system, the industry can empower patients and healthcare professionals as well as improve healthcare systems. partner with the healthcare community to ensure they are well informed in the era o digitalisation. promote modern and efficient digitalisation and development of health telematic systems that will guarantee meaningful empowerment of patients in their healthcare journey, a better decision-making process and stronger connectivity in the healthcare community. © Medicines for Europe. All rights reserved.